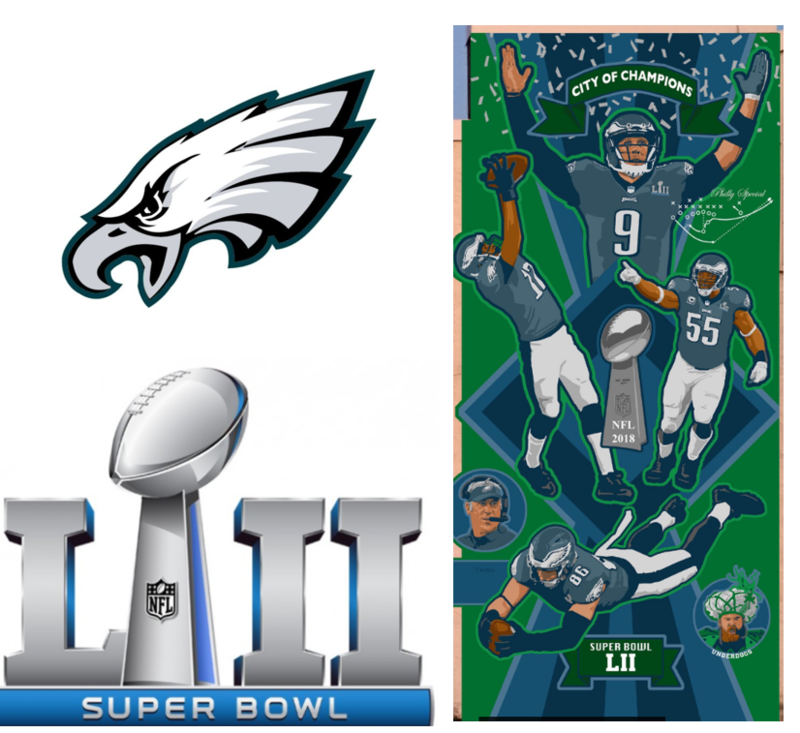 Help Spike's Trophies , the MuralArts Program and the Philadelphia Sports Hall of Fame honor the Philadelphia Eagles Super Bowl Championship with a new mural. 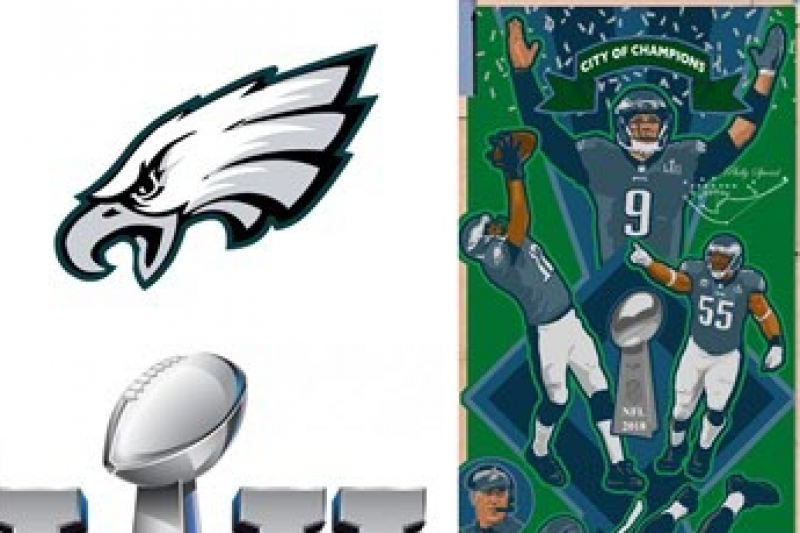 Now, the three organizations are back together to create the Eagles Super Bowl Mural. This is the team's first Super Bowl Championship so it is fitting that this is the first installment for the continuation of the City of Champions on the opposite side of Spike’s building. Mural artist David McShane, who did the original City of Champions Mural is doing the Super Bowl Mural as well. Be a part of history. Your contribution helps defray costs of paint, supplies, labor and other expenses and gets us closer to this permanent tribute to your Super Bowl Champions!! Philly Mural Arts, Spikes Trophies and the Philadelphia Sports Hall of Fame thank-you for you support of the Eagles Super Bowl Mural. The Philadelphia Sports Hall of Fame's Preview Gallery at Spike's will be open to the public. The public is invited to be the first to see the newest exhibits including the Eagles’ four championship teams, Eagles linebacker great Bill Bergey, World Champion Boxer Jeff Chandler, and more. We hope to see you on Tuesday and thanks again for your support. Fundraising at about 1/3 of Goal!! If Goal is Reached, Dedication is early-Mid May so please continue to spread the word and give what you can! Here is some nice coverage of the project. Please keep spreading the word as we still have a ways to go!! Be the first to leave a comment on this campaign. As a Super Bowl LII contributor your name will appear on the permanent plaque for the Super Bowl mural dedication. Congratulations Keith and Spikes Trophies for organizing a great tribute to Philadelphia history!